Application Form available by clicking here. Closing date for receipt of completed Application Forms is 3pm on December 2nd 2016. Please see our Policies section for our Admissions Policy. 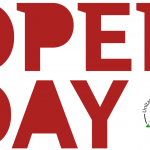 Powerpoint Presentation from our Open Day.